Blockchain is a cutting-edge technology promising to bring innovativeness in a variety of industries. There are many talks around it related to development issues, Blockchain technology implementation, growth projections, and perspectives. So, what is Blockchain? It is distributed ledger or a database which maintains a continuously growing number of data records and transactions. 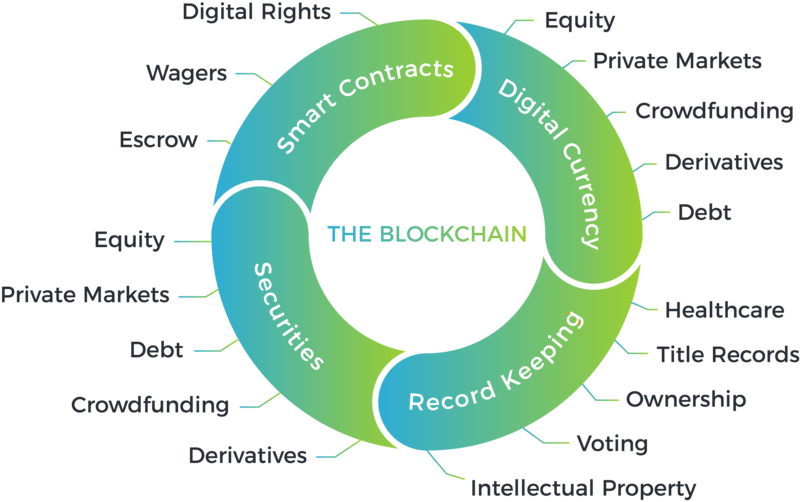 Blockchain is a chain of transaction blocks built in accordance with set rules. Bitcoin, the most famous and popular cryptocurrency for today, became possible due to Blockchain, the core of Bitcoin payment system. Now, to get a deeper insight into the meaning, let’s take a look at Blockchain characteristics. 1. Decentralized – There is no central authority needed to approve transactions. There are no intermediaries, so transactions are made directly. 2. Shared publicity – Nodes (servers), or participants in the ledger, maintain blocks or entries, and each node sees transaction data stored in blocks when created. 3. Trusted – Network distributed nature requires computer servers to come to a consensus, that enables transactions to be carried out between unknown parties. 4. Secure – Blockchain provides transaction and data security. The ledger is an immutable and inconvertible record, and post to it can’t be revised or tampered with, even by database operators. 5. Automated – Double transactions don’t become written in the data set and are carried out automatically. Blockchain technology implementation can provide a lot of benefits, changing the way many things are functioning. The main advantage is that Blockchain allows making interactions faster, safer and less expensive, ensuring data security. However, though the technology is primarily associated with the financial industry, Goldman’s bank analyst Robert D. Boroujerdi said that Blockchain solutions have the potential to redefine transactions and innovate a plenty of business areas. Take a look at the variety of spheres that can stand out from Blockchain integration. In this post, we’ll consider the most perspective domains for Blockchain implementation, that is banking, insurance, politics, logistics, real estate and others as well as technology growth and prospects. Allowing to avoid financial heavy systems, Blockchain solutions are promising to revolutionize money transfer business environment. Cause transactions within Blockchain occur without intermediaries and central authority, it enables to create a direct payment flow between operation participants from any place in the world. What’s more, transactions are carried out with the minimum commission and at a high speed. The interest to this up-to-date technology called a boom in Blockchain application development. There are more and more Blockchain startups striving to be among the first to innovate the functioning of payments. And many of them have already used Blockchain in their money orders system. For example, Abra, a Blockchain startup, representing a digital wallet mobile app and using Bitcoin currency. Being an innovative technology and having great potential for further growth, Blockchain attracts huge investments. As Blockchain ensures safe data storage, trusted operations, and transaction security, banks are the main financial institutions that invest in Blockchain startups and Blockchain application development. There are many projections around Blockchain integration in banking: analysts even say that Blockchain usage will allow banks to reduce total infrastructure costs by $ 20 billion per year. Understanding the perspectives of Blockchain technology implementation, New York-based company R3 CEV, developing Blockchain solutions for the banking and finance industry, created a consortium of 42 banks ready to invest in this direction. Today many large international banks such as UBS and Barclays, are experimenting with Blockchain technology to accelerate deals, ensure transaction safety and data security. Thus, the technology is promising to optimise many processes in the industry. Blockchain technology implementation brings innovativeness and new functioning models to the insurance industry too. Companies integrate Blockchain applications, where Blockchain is a loan sponsor between two sides. It helps them improve insurance services. On 16 Friday, June, the two large stakeholders, a Blockchain company Bitfury Group and an insurance company Risk Cooperative, believing in the technology potential for the insurance industry, announced a strategic partnership to pioneer Blockchain application development in the $ 60 billion insurance intermediation market. Both sides are confident that Blockchain will bring more trust to this domain, operation security, and transparency, as well as facilitate the appearance of new insurance models, helping insurance companies to overcome various difficulties. So, there are many use cases of Blockchain in the insurance domain, and large international players are continuously developing this direction. This technology can be effectively used in supply chain management for providing more secure and transparent operation monitoring. Blockchain can help logistics and other companies track goods movement in the decentralized database, thus reducing both time delays and general expenses. Healthcare is another industry that can benefit from Blockchain solutions integration. Here data plays an important role, affecting the quality of services and even people’s lives. It concerns safety and security of various documents, doctor reports, and patient clinical records. So, allowing to track each transaction, Blockchain technology can help healthcare organizations build safe and reliable channels for data exchange. Then, information quality and improvement of collaboration between different institutions lead to enhanced diagnoses and better treatment. For example, a Guardtime startup specializing in data protection entered into a partnership with Estonian eHealth Foundation with the aim to use a Blockchain-based system that would ensure the security of more than a million medical records. Also, learn more about Blockchain application development to build an electronic medical records system for a healthcare organisation and our expertise in this area. 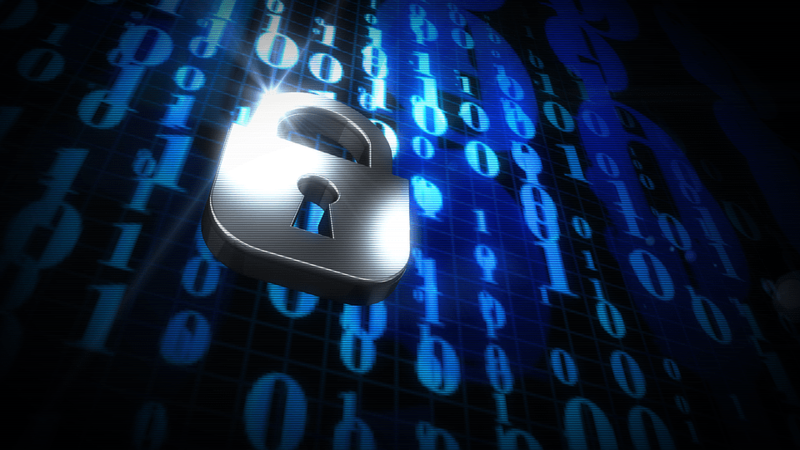 Voting is the process where data security plays a major role. Elections require voter’s identity identification, protected accounting and fair votes counting. Here Blockchain can be used for fraud and falsification elimination. So, how can Blockchain solutions improve the election process? It looks as follow: votes are recorded as transactions occurred within a decentralized ledger and can be checked by anyone. Thus, the technology will help avoid fraudulent counting and problems related to emissions and destroyed ballot papers. Imagine, for instance, a Blockchain-based online voting system. Real estate industry companies face many problems like a plenty of documents, lack of deal transparency (during and after the deal conclusion), working mistakes, fraud, and so on. Blockchain technology implementation can help cope with these challenges by registering, monitoring and accelerating such operations as lease assignments and property rights transfers. What’s more, thanks to Blockchain application development companies get the ability to accelerate deal closures and ensure data and transaction security. Over the years, financial corporations have worked to facilitate the process of trading stocks on exchanges. Today fintech companies implement the technology to automate stock tradings and make them more effective. Here Blockchain solutions have the potential to redefine the industry. Imagine, for instance, a system for issuing, selling and purchasing securities through Blockchain that don’t require the approval of regulatory bodies. Another example is the solution for public company shares distribution. Also, a company can integrate a Blockchain-based application for a quick and safe processing of B2B payments. Here at Smartym we provide custom web and mobile app development services and deliver reliable Blockchain solutions, helping companies optimise many operations and ensuring data security. If you have a project idea, feel free to apply to us! Also, find more information about Blockchain types and practical usage.